Philip Glass Violin Concerto No.2 "The American Four Seasons"
The London Philharmonic's Winter Season Programme for 2009/10 raised some high expectations with three much-anticipated new works: a symphony (the first ever) from Ravi Shankar, a 4th Symphony from Henryk Górecki and the European première of a 2nd Violin Concerto from Philip Glass. In the event, Shankar's Symphony got a warm but mild reception and was soon forgotten, Górecki was to ill to complete his symphony, and subsequently died leaving the work unfinished, and the Glass Concerto? Well, it came closest to meeting expectations. As this recording of the event demonstrates, it received a fine performance, and ended up posing more questions than it answered. Glass' previous – now his First – Violin Concerto was written in 1987 and his since firmly established itself in the repertoire. It was written at a time when Glass was moving towards traditional genres. With the First Violin Concerto he hit the sweet spot where the popularity of his all-American tonal minimalism combined with audience-friendly Romantic rhetoric to create a work with genuine mass appeal right across the classical audience base. Glass has many detractors, but it is the one work that is most often cited as an exception by those who otherwise dislike him. Glass might just have pulled that feat off again with his Second Violin Concerto. 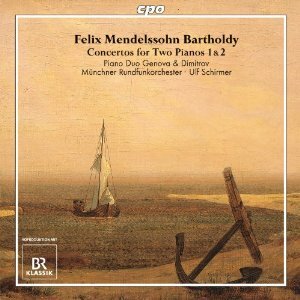 This time the model is Baroque rather than Romantic, and whereas the First could be described as loosely based on Mendelssohn or perhaps Brahms in terms of its structure and dramaturgy, the Second is, by the composer's own admission linked to the concertos of Vivaldi. It was commissioned as a companion piece to The Four Seasons, and like Vivaldi's masterpiece, it is structured as a long series of movements, eight in total, with the tenuous thematic connections that you might find in a baroque suite. In fact,there are only four numbered movements, but they are interpolated by three unaccompanied 'songs' and preceded by an unaccompanied prologue. Unlike in the First Concerto, the composer projects a fairly relaxed attitude to formal structuring, and it often seems as if the music is going off at a tangent on a whim. That said, there are a lot of transitions in the music, as if he feels the stark contrasts between tempos or moods would jar. It is that feeling for continuity that distinguished this from Glass' more radical early music. Are there references here to Glass' earlier work? His music used to rely heavily on fast, repeated arpeggio patterns, but in this work longer, more directed melodies predominate. This means that when he does launch into one of those episodes of fast arpeggios bouncing across the strings, it sounds almost like a reminiscence of earlier days. He adds an electronic keyboard to the orchestra, which could conceivably take us back the very earliest years of his career. There is also a harpsichord in there, and in one or two passages the harpsichord and electronic organ take turns playing the continuo bass line, as if Glass is in dialogue with Vivaldi. The concerto is long and varied, and even if you don't like it all there is bound to be something here for you. 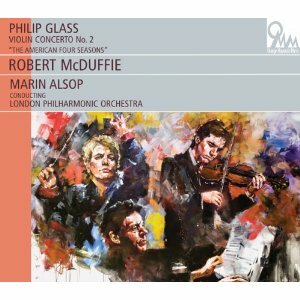 Robert McDuffie's credentials as a performer of Philip Glass were firmly established in 1999 with his recording of the First Concerto (Telarc CD-80494). Of the dozens of recordings to have appeared of that work, his is surely among the very finest. On the whole, this performance is equally successful. It is a shame though, that Glass doesn't write any music here that is in the spirit of his First Concerto's second movement. McDuffie's finest moment in that work is the arching melody that seems to last for the whole movement and which he plays with a luminous intensity. But his sound is just as good in this new recording. He has one or two intonation slips in some of the high passage work, but nothing serious. The London Philharmonic are ideal in the accompaniment, not because of any particular affinity with American music, but rather because of their ability to turn their attention to almost any music and sound like they have been playing it for years. Marin Alsop has, of course, been conducting Philip Glass for years, and her expertise was no doubt invaluable. She paces the music well and ensures that the progression of the music always sounds logical, and I suspect it might not in lesser hands. This is the first recording I have heard that was made in London's Royal Festival Hall since it was renovated a few years ago, and the sound is excellent. Even the unaccompanied violin movements have a warm glow to them, and if that has been supplemented at post-production then the digital jiggery-pokery is more than justified by the results. 'Orange Mountain Music' is Philip Glass' own label, and given the inevitable commercial interest in this work, I suspect that he has reserved the rights to the first recording for himself, a sound decision both in artistic and financial terms. This will probably go on to become the first of a great many recordings of the concerto, but its benchmark status seems secure for a good few years yet. For many people, the words 'Bach' and 'Yorkshire' used in the same sentence evoke images huge choral societies performing the B Minor Mass and the Passions at a dirge pace and accompanied by a full symphony orchestra. But, of course, Yorkshire is also the home of the York Early Music Festival, of the excellent York University Music Department, and of the Yorkshire Baroque Soloists. Judging by the number of London-based players in the orchestra, I'm assuming the Yorkshire Baroque Soloists is a professional part-time ensemble. I suspect there is some institutional link with York University, where this was recorded and where all of the soloists seem to have studied, but the liner doesn't go into details. 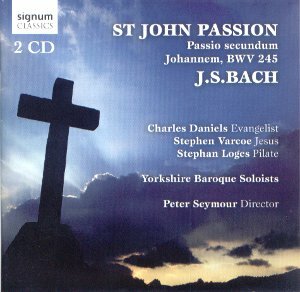 Their St John Passion is an impressive recording. Orchestra, choir and soloists all deliver secure performances, and there are some moments of real beauty. In terms of performance conventions, we are looking at a period instrument orchestra of 14, a choir of 20 and three soloists, with smaller parts taken by singers from the choir. The pitch is A=415hz and the continuo organ is tuned to Valotti temperament. Tempos are in the range of moderate to brisk, but there are no radically fast choruses. The continuo accompaniment is solid and largely undecorated. The opening chorus, which is really the only chorus in the work, puts the performers through their paces. Both choir and orchestra come through clearly in the audio, with plenty of detail if perhaps a slight lack of presence. The balance of the choir is good, although the tenors struggle a little to compete. In the orchestra, the ensemble of the strings is excellent, but woodwind are the real stars, their individual woody colours mingling beautifully in the introductions and obbligato accompaniments. Elsewhere, the choir excel in their hushed chorales, which are low key without being unduly restrained – simple but effective. The soloists are an ideal combination, their voices distinctive but complimenting each other well. Stephen Logue comes close to stealing the show as Pilate, and the sweetness of his tone in the upper register suggests his potential is not limited to bass roles. Charles Daniels is suitably declamatory as the Evangelist, a little more tone in his recitatives might be nice, but not if it is at the expense of his exemplary diction. All round then, an impressive John Passion. In the grand scheme of things, it may seem a little unadventurous for being middle-of-the-round, interpretively speaking. But this is a performance that takes on board many lessons from the history of the period performance movement (with the notable exception of those from Joshua Rifkin). It has plenty of life and never goes to excesses of tempo or dynamics to make its point. And it doesn't force any more drama on the work than it can handle. A coherent, articulate and engaging performance that balances well the work's twin identities as narrative and contemplation. What exactly is Robert Craft's involvement in this recording? He is credited as having 'supervised' it, which is apparently enough to justify, not only its inclusion in the Naxos 'Robert Craft Collection' series, but also an advert for the conductor's recent autobiography on the back of the liner. No doubt it is an advantage to have Schoenberg's representative on earth in the control room, but it does seem that Naxos are stretching their links with Craft slightly beyond the realms of credibility. The real star of this disc is Fred Sherry. He is almost as steeped in Schoenberg performing traditions as Craft, and the string quartets he has assembled for these performances prove to be well up to the task in hand. 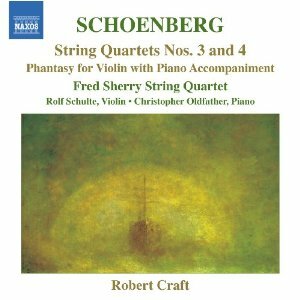 I say 'string quartets' because the personnel of the Fred Sherry Quartet is evidently variable, and only Sherry himself on the cello performs in the same part in both works. The other players are from a younger generation, and the most famous of them is Leila Josefowicz who plays first violin in the Fourth Quartet. It is a testament to the high standards of all the players that neither Sherry nor Josefowicz really excel, and all their colleagues perform with equal conviction, stylistic sensibility and technical proficiency. Interpreting these works is a bit of a balancing act. Schoenberg's radicalism seems to be in eternal conflict with his veneration of tradition. So, for example, the music is serial throughout, but the forms of the movements hark back to the 18th century. Performers must reconcile the Classical, the Romantic and the Modern, and without the result sounding laboured or overly cerebral. These performances find the ideal balance while maintaining an impressive sense of immediacy. Engagement comes in the form of dramatic tension rather than emotive excess, suggesting Expressionist rather than Romantic readings. The tempos are often just on the fast side of comfortable, creating valuable momentum, and without obscuring any of the detail. The two works were written in 1927 and 1936 respectively, meaning that one was written in Europe and the other in America. Given the momentous shifts and changes throughout Schoenberg's life and career, both biographical and artistic, the stylistic continuity between these works is remarkable. If anything, the Fourth seems the most accomplished, and less encumbered by its traditional forms. The 'Phantasy for Violin with Piano Accompaniment' that concludes the programme is less exciting, a work that is as pedantic and unambitious as its title suggests. It is well played though, with plenty of life and sparkle, by Rolf Schulte and Christopher Oldfather. The recorded sound is reasonable but in no way exceptional. The quiet passages (and yes, there are of them) seem a little distant while the tuttis are clear but uninvolving. 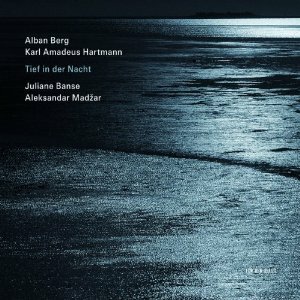 The recording is a worthy addition to the Schoenberg discography. It is yet another demonstration of the extent to which American instrumentalists dominate the performance of Schoenberg’s chamber music these days. There certainly seems to be a healthy tradition of Schoenberg performance in his adopted country, of which this is just the latest example. And perhaps Robert Craft is the conduit through which that tradition flows, but I still think they could manage just as well without him. Alexandre Desplat is the fourth composer to take on the Harry Potter franchise. The first film was scored by John Williams, whose themes and motifs created a musical identity for the fantasy world. After Williams, Patrick Doyle and Nicholas Hooper each did stints, both doing their best to move away from the thematically saturated score of the original. 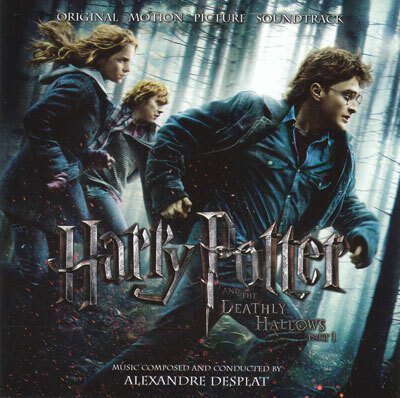 Desplat continues in that vein; the links between his score and that of The Philosopher’s Stone are tenuous to say the least. The OST album includes just two unadulterated statements of the 'Harry Potter Theme'. The music does make subtle references to it elsewhere, but you'd be unlikely to clock them with the distractions of a film going on at the same time. The gradual evolution of the soundtracks to the Harry Potter films reflects the narrative progression of the story. If the music is anything to go by, this will be a very dark and psychological outing. The music is impressively sophisticated, and if I didn't know, I wouldn't have guessed that it is for a children's film. But of course it is Hollywood music too, and while the atmosphere is often intense, the actual musical textures are usually quite straightforward. But the quality of the music is demonstrated by Desplat's ability to create the maximum effect from the minimum of musical material. 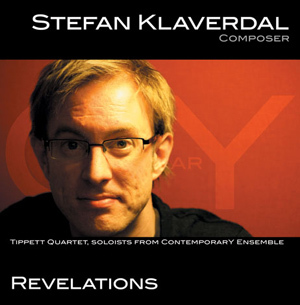 So climaxes are often scored with heavy tremolo arpeggios in the strings (almost, but not quite minimalism), and the quieter sections make impressive use of solo flute and piano. The sound of the flute is a distinctive feature of this score, often playing quietly in the lower register and over a bed of slowly moving string chords. It is difficult to identify any new themes that Desplat may be introducing. He is in a bit of a catch 22 joining the franchise at this late stage, in that he is obliged to move away from John Williams' themes, but doesn't really have the license to introduce any of his own. The result is music that focusses more on atmosphere than identity. Most listeners will have the advantage over me of having already seen the film, and the visual associations will probably make the experience of listening to this considerably less abstract. I don't know if the album presents the music in the order that it appears in the film, but whether it does or not, the disc seems to be front-loaded, with all the dramatic and memorable music in the first 20 minutes or so. It is all too rare these days to hear a studio recording by the London Symphony Orchestra. Most of their appearances on CD in recent years have been on their LSO Live label, all of which are live recordings of concerts, mostly recorded in the acoustically sullen Barbican Hall. The studio situation is, of course, also acoustically inert, but there is a little more scope here to alter and focus the sound at the post-production stage. The results are richer and timbrally more complex than on most of the LSO Live recordings, showing that a little bit of jiggery pokery at the editing stage is not necessarily such a bad thing. Of all the orchestras in the UK to hire for film music sessions, the LSO has to be one of the most expensive. So do the results justify the expenditure? Well, in my opinion they have the best string section of any London orchestra, and the strings certainly impress here. They have excellent unity of ensemble and a timbre that is both open and rich. The dark, sinister textures often rely heavily on the cellos and basses, who, as on the concert stage, really make the most of every opportunity to shine. The woodwind, brass, percussion and harp are all heard at one point or another but none of them are ever put to any particularly interesting use. Again, it is a case of maximum effect from minimum notes on the page. So all round, not a bad Hollywood film soundtrack at all. Buyers of the disc are able to download a surround sound version of the album, which is a nice touch, and should appeal to those movie lovers whose audio system is set up specifically to watch films. In fact, as this is primarily atmosphere music, having it coming at you from all sides should add considerably to the experience. Brahms and Schoenberg have much in common, their historicism, their devotion to the Austro-German canon, their learning, the Viennese pedigree of their works... but the one thing that would seem to separate them is the noise their music makes. Shai Wosner is evidently out to prove that contention wrong. The centrepiece of this programme is a performance of the Brahms Op.116 Fantasias interspersed with Schoenberg's Op.19 piano pieces. Does it work? Well, yes the musical coherency and intrigue of the result is undeniable. Historically the distance is less than you might think, the Brahms being very late and the Schoenberg relatively early. More importantly, perhaps, is the fact that the Schoenberg is Expressionist rather than serial, and clearly owes much to Brahms' late works. That said, you are very unlikely to confuse the two composers, the issue of tonality (however lose) the clear divider. There is also a discipline about all of Brahms' piano music that Schoenberg rarely shares. But Wosner is clearly soliciting individual opinions about the musical relationships between the two composers, so you'll have to decide for yourself at what level, if any, the musical styles meet. This Op.116/Op.19 experiment is framed two large works, each an early but major contribution to the repertoire by the two composers. 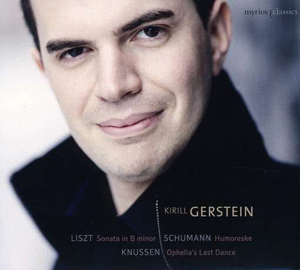 To begin, we hear the Schoenberg Op.25 Suite, and for me this is the highlight of the disc. The work is historically significant for being the first in which Schoenberg uses his serial technique consistently from beginning to end. As is so often the case with historical landmarks, it is a piece that is studied and discussed far more than it is heard. That's a real shame, because it is a great piece. 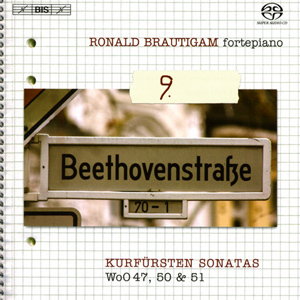 It is one of those 20th century works which is obviously very difficult to play, or rather to interpret, but is also quite demure and so does not give the pianist many chances to show off his skills. It is structured as a baroque suite with each of the movements in a dance form, but paradoxically, the rhythmic identities of each of these dance genres are almost completely ignored and Schoenberg instead injects energy and propulsion into the music with his own more sophisticated rhythmic ideas. The success of Wosner's performance is largely down to his feeling for the detail of this music. He really focusses in on the relationships between successive notes and chords, which given the detail of Schoenberg's score is surely appropriate. You get the feeling that the dynamic and placing of every note has been painstakingly considered. And just as importantly, the music retains its immediacy and spontaneity, even in the face of some heavy intellectualising from both the composer and the pianist. 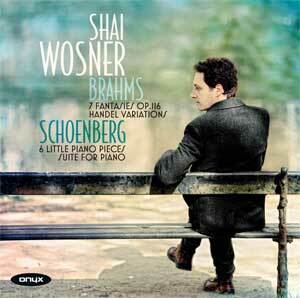 It is a tricky balancing act to interpret this music effectively, but Wosner is clearly up to the task. The final work on the disc is the Brahms Variations on Handel Op.24. Like the Schoenberg Op.25, this represents the composer's first significant mature contribution to the piano repertoire. Wosner takes a more laid back approach to this music, he lets the melodies sing more and doesn't worry so much about the internal balance of the textures. 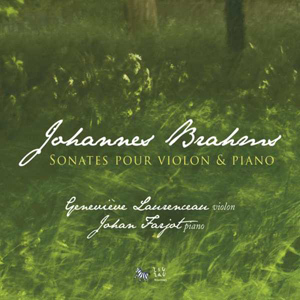 This more lyrical approach is surely what the music requires, but it sits uneasily with the programme's aims of comparing Brahms and Schoenberg. The Brahms Op.25, especially when played like this, is closer to Schumann or even Schubert. But if the Brahms/Schoenberg idea does work (and I'm still undecided) it is because of the Brahms' multifaceted musical persona. He was both progressive and conservative, and it is to Wosner's credit that he demonstrates both sides, both in his programming and in his playing. The audio here is excellent. The piano is recorded in a fairly resonant acoustic, but the precision of Wosner's touch, of his articulation and of his pedalling, is such that no details are lost. 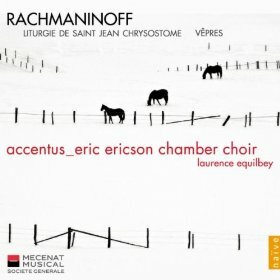 Wosner has done both composers a service with this recording, but I think that in the long run Schoenberg is going to come off better for his attentions. The performance of the Op.25 Suite that opens this programme is a real revelation. The Brahms is good too, but it is the Schoenberg I’ll be returning to soonest. Katharina Wagner's Meistersinger has been a subject of heated debate in the opera world since its première at Bayreuth in 2007. The release of this superbly produced DVD should help to make some of that discussion better informed. Préces of the production concept invariably highlight the controversial aspects, which is reasonable as this is a very radical reading. But watching the production from end to end, the overriding impression is of the high production values and the consistency of the concept. It's not perfect (what Wagner ever is? ), but the success of the production lies in its tangential and paradoxical relationship with the work itself. There is damning critique here of many aspects of the opera, not least its nationalist undertones, but on the whole it works with rather than against the grain of the narrative. Katharina doesn't really need to do very much to change the trajectories of the main characters, and like her great grandfather, her overriding obsession is the sanctity of art. While the production updates the work, and acknowledges some of the uglier aspects of its reception history, the underlying message about the relationship between conformity and innovation in artistic activity remains curiously unchanged, even when the characters representing those opposing traits are switched. If you're not familiar with the concept of this production here is a brief summary: Walther is initially represented as an innovative conceptual artist, while the Meistersingers begin (and remain throughout) pedantic protectors of artistic tradition. Throughout the first two acts, the imposition of Walther's creativity on the staid conventions of Nuremberg is represented by his painting on almost every object he comes into contact with. The riot at the end of act 2 is a paint fight, which proves to be a catalyst of change for both Walther and Beckmesser. 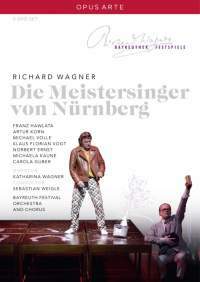 In the singing contest, their roles are reversed, Beckmesser has become the free thinker whose work has attained artistic value through liberation, while Walther has succumbed to the Meistersingers' conventions to the point where he can only produce kitsch. Sachs goes through his own transformation when the scene change midway through act 3 is played out as a phantasmogorical ballet. In it, he is kidnapped by caricatures of Goethe, Lessing,Wagner and other figureheads of German artistic tradition. Having spent the first two acts as an alternative-thinking champion of innovation, he now becomes the most reactionary figure of them all. The most radical, and presumably most controversial, aspect of the production is Sachs' closing monologue. He has been transformed into a Nazi ideologue and his paean to the supremacy of German art is played out as a kind of Nuremberg rally. The friction with the work comes from the production's critique of artistic convention. True enough, Wagner (Richard I mean) does that too, but ultimately the opera celebrates the self-renewing power of convention, specifically in the way that Walther's innovations are accepted and become part of the living tradition. Katharina makes an important and valid criticism of the work in her recasting of the final scene. The ending of the opera does not adequately resolve the narrative tensions of the previous acts, and that has problematic implications for the opera's message. Other directors tend to face down, or just ignore, the problem of Sachs' behaviour. The issue of his relationship with Beckmesser is left hanging by the libretto, and the nationalistic sentiments of his closing monologue don't even need the endorsement of Hitler to seem problematic. The weight of tradition is a pervading theme of this production, which is an issue more pertinent to German audiences than to most others, and perhaps this is where an autobiographical dimension creeps in. Of the caricatured figureheads from German history, the most prominent is Wagner himself, and there is an almost claustrophobically Oedipal dimension to his representation and ultimate disgrace. But as I say, a précis of the ideas does no justice to the sheer theatrical spectacle of this production. For opera audiences used to seeing regietheater used for cost-cutting, the combination of interpretive innovation and Bayreuth financing comes as a refreshing change. There are some impressive set pieces, most notably the stadium seating arrangement that rises through the floor at the start of the festival meadow scene complete with chorus, and the giant hand that adorns the stage throughout act 2, one of the production's more inscrutable symbols. The quantity of ideas is large but not excessive. Katharina was clearly up against the challenge of her life putting on this (or any) kind of Meistersinger at Bayreuth, and there must surely have been a temptation to throw every conceivable visual device at it. But the results, while visually rich, speak of an impressive discipline in only including props and symbols that further the theme. The cast have their work cut out reconciling their characters as envisaged by the composer and as transformed by the director. One weakness of the production is the reduced significance of many of the minor characters. Such massive transformations are going on for the three leads, that everyone else is in danger of becoming a bystander. David just about retains his three dimensions, but there is little to no engagement with Eva, Magdalene nor, with the exception of Sachs, with any of the Meistersingers. Eva in particular suffers in this version, she is a problem for every director coming to the work, but most manage to make her into something more than just a canvas for Walther to (literally) paint on. Klaus Florian Vogt is a convincing Walther, both musically and dramatically. Franz Hawalta is a versatile baritone, but he struggles to find the stamina for Hans Sachs and loses some of his tone in the last act. Both make the best of their roles and adequately negotiate the competing demands of composer and director. But this production revolves around Beckmesser, and Michael Volle puts in an exceptional performance. Clearly, this isn't a production that presents Beckmesser as the comedy fool. Quite the opposite, in fact, he is the one sympathetic character. There is a significant imbalance here; Wagner (Snr.) gets away with his critique of Nuremberg society by populating it with sympathetic characters, but with Walther a lackey, Eva a nobody and Sachs a Nazi, it is left to Beckmesser to generate the empathy necessary for the audience to care. Katharina and Volle manage this by investing the character with profound dignity, which is perhaps the ultimate departure this production makes from traditional staging. If the production works – and I think it does although it is fair to say that the jury is still out – it is because of the credibility of Volle in this transformed role. Excellent singing from him too. According to the liner booklet, the filming took place over the course of a single live performance, the first time this has happened at Bayreuth. How then to explain the onstage cameras? In fairness, they might not be literally on the stage, but they seem so close that I suspect some of the shots were taken during rehearsal. In the first act in particular, when Walther is climbing around the back of the set, he seems to meet a camera in every nook and cranny he visits. And then in the third act, cameras at the proscenium arch seem to be looking up the singer's noses. It is quite an invasive approach, but you certainly feel part of the action. Both the picture and the sound quality are to the highest modern standards, and it seems that opera singers, like newsreaders before them, are now going to have to pay closer attention to their makeup as the camera is recording their every wrinkle. The orchestra sounds great, both in stereo and surround, and the sensuality of the strings compensates for the dispassionate atmosphere on stage in many of the scenes. There are one or two slips, which would probably have been edited had they filmed more than one performance. The woodwinds have occasional problems with their ensemble, and the whole orchestra comes unstuck on the last chord of the second act. In general, though, this is a musically convincing performance, and while a few of the voices in the cast stand out, the general vocal standard is significantly above what you would find in most opera houses. In terms of packaging and extras, this disc offers more than the usual. The booklet is illustrated with colour stills, which remain the exception rather than the rule for opera DVDs. And the second disc has a making of documentary. Strangely, this is a different documentary to the one that has already been released on DVD (read my review here), but both seem to be based on the same interview footage. Both documentaries emphasise what a logistical nightmare the production was to stage, but that is quite obvious even from the production stills, let alone the video of the performance. 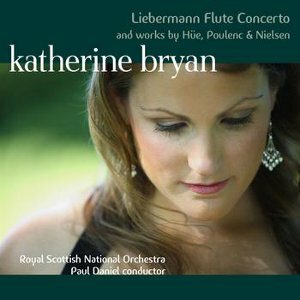 For those who have issues with Katharina Wagner's conception of the work, the musical side of this performance could well be its redeeming feature. But I would urge even the sceptics to take this production seriously. If ever you have sat through a traditional Meistersinger and felt your toes curl as Walther launches into his cheesy prize song or Sachs his nationalist diatribe, you will know exactly where Katharina is coming from. We all have embarrassing relatives, but most of us don't need to go to these lengths to distance ourselves from them in our professional lives. As ever, the Bayreuth Festival has demonstrated that it is not taking anything for granted, and Opus Arte should also be congratulated on the bravery of their beginning a worldwide distribution deal with the house on such a controversial note. A complex and troubling but also consummate and satisfying experience: even on DVD it leaves a lasting impression.